Everyone and their mother wants to know what the new Paranormal Activity is looking like. Finally we have both the official trailer and the official poster for Henry Joost and Ariel Schulman‘s Paranormal Activity 4. The plot is still hidden but at least we get some eye candy. 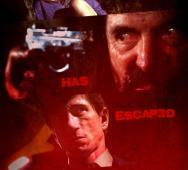 This horror movie franchise that started it’s own sub genre will hit movie theaters this upcoming October 19, 2012. Cockneys vs. Zombies drops a great synopsis on us, what if London was overridden by zombies. Most people are loving the London 2012 Olympics and for good reason. Empire has just dropped the news on the official UK poster and I am liking the imagery. The hand busting out of the ground while London is gripped in those undead zombie hands. Hopefully the movie does as good. 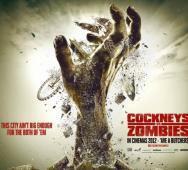 Cockneys vs. Zombies will hit UK theaters this August 31, 2012. 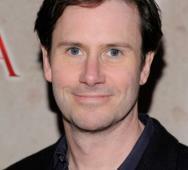 Scott Stewart‘s Dark Skies has just landed Josh Hamilton and Dakota Goyo to join Keri Russel. Blumhouse Productions recently dropped the news on Twitter. Blumhouse Productions is better known for horror movies such as Paranormal Activity 1, 2, 3, Insidious, Sinister (In Theaters Oct 5, 2012). Dark Skies is definitely looking better with the new cast members. Todd Lincoln brings us his latest horror movie, The Apparition, coming to theaters this August 24, 2012. We included the official poster and the trailer just in case you missed it. The Apparition is written & directed by Todd Lincoln and stars Ashley Greene, Sebastian Stan and Tom Felton. Josh Stolberg’s Crawlspace has just dropped his official poster for his upcoming horror movie. 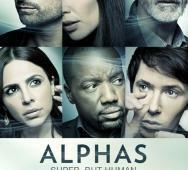 The upcoming film will star Steven Weber, Lori Loughlin, Jonathan Silverman, Raleigh Holmes and Sterling Beaumon. Rachel Nichols Cast in Ten O'Clock People? 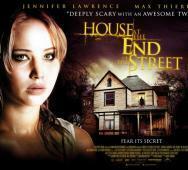 Relativity’s the House At the End of the Street will be hitting U.S. theaters this upcoming September 21, 2012. The film stars Jennifer Lawrence, Elisabeth Shue, Max Thieriot and Gil Bellows. As you can see, they they are super promoting the fact that Jennifer Lawrence will be starring as the main centerpiece. From posters featuring Jennifer Lawrence to trailers where she is running bouncing around like she belongs in Dead or Alive Volleyball. Funny when you think about it but that is the main selling point for most men to watch this horror film. NBC‘s latest horror venture will be the 10 episode NBC Dracula TV series starring Jonathan Rhys Meyers. NBC will also be bringing us the Munsters reboot along with the Hannibal TV series. The new Dracula TV series will be based on the Bram Stoker’s Dracula so there will hopefully be no pretty cuddly vampires. We will see ferocious vampires hunting humans, the way it should be. I love the vampires whose presence brings total fear to all on the screen as well as off screen. Jonathan Rhys Meyers played a cold king in The Tudors and he should be an even better portrayal of Count Dracula. I am excited with this news already and this is just the casting. Neil Jordan‘s Byzantium looks to bring the gore and scares back into vampire movies. Neil Jordan has worked on films like Interview with the Vampire and The Company of Wolves so he is familiar with the genre. Byzantium stars Gemma Arterton, Saoirse Ronan and Sam Riley. Byzantium is scheduled to hit theaters this upcoming December 31, 2012. 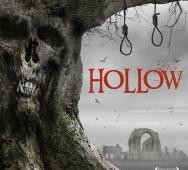 Michael Axelgaard‘s Hollow will be released this September on VOD. I absolutely love found footage films and this one further tempts me with the ancient evil hook. Hollow horror film stars Emily Plumtree, Jessica Ellerby, Sam Stockman and Matt Stockoe. AMC‘s The Walking Dead is a great zombie TV series. The show has been officially nominated for three Emmy Awards. The Walking Dead has been nominated specifically for Outstanding Prosthetic Makeup, Outstanding Visual Effects and Outstanding Sound Editing for the second year in a row no less. 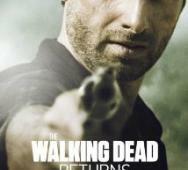 The Walking Dead will be returning to AMC with new episodes this upcoming October 14, 2012. I am so excited to see the new episodes and can’t wait to see the new zombie special effects for the older more gruesome looking walking dead. Anchor Bay‘s upcoming Bait 3D may be the revival that shark movies need. 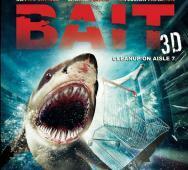 Bait 3D is set to hit stores this upcoming September 18, 2012. I myself am not a big shark movie fan but I may see this one. 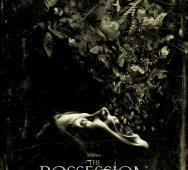 Sam Raimi has just released the official motion poster for The Possession. The motion poster has daughter Em (Natasha Calis) split in three and every segment shows another scary image. I still like the Sinister motion poster better but this one throws a little more imagery into the horror mix. 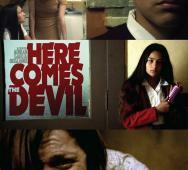 Dark Sky Films has released two posters for Here Comes the Devil. The new horror film stars Francisco Barreiro (We Are What We Are) and rising actress Laura Caro. The film is a co-production from MPI’s Dark Sky Films and Bogliano’s Salto de Fe Films. Adrian Garcia Bogliano is set to be the director and is better known for Penumbra and Cold Sweat. 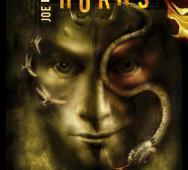 Daniel Radcliffe, Harry Potter to most, has topped out Shia LeBeouf to land the role of Ig Perrish in Joe Hill Horns movie adaptation. Ig Perrish awakens one day and finds that he know has horns growing from the top of his head. Funny thing is that anyone who sees the horns will now reveal their inner most evil deeds to Ig. SILENT HILL: REVELATION 3D image looks like something out of the popular video game Silent Hill franchise. I am very excited with the way this horror movie is developing. I am a huge fan of the series and although I did not play the last releases, I really liked the games that I did play. I love the way that Silent Hill transports you to a totally horrorific place and disturbs you to your core. 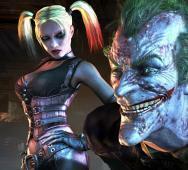 Batman: Arkham Asylum and Batman: Arkham City were such a huge success that game developer Rocksteady Studios has already started on the development of the Arkham City Prequel. Variety states that Warner Bros. Interactive Entertainment and Rocksteady will be going way back to the first encounter between Batman and The Joker. The story-line is said to focus on the Silver Age of comics which saw the formation of The Justice League.